This post will outline the steps that Stacia and I went over on KKTV this morning. This is one of my favorite centerpiece ideas so far because it is fast, easy, and cheap. You may not know this about me, but I like a quick craft, 10 minutes or less!!! First, you will want to soak the bottles overnight. I soaked the bottles in my tub with some oxy clean. The next morning, most of the labels were falling off, however some bottles still required a little ‘elbow grease’. 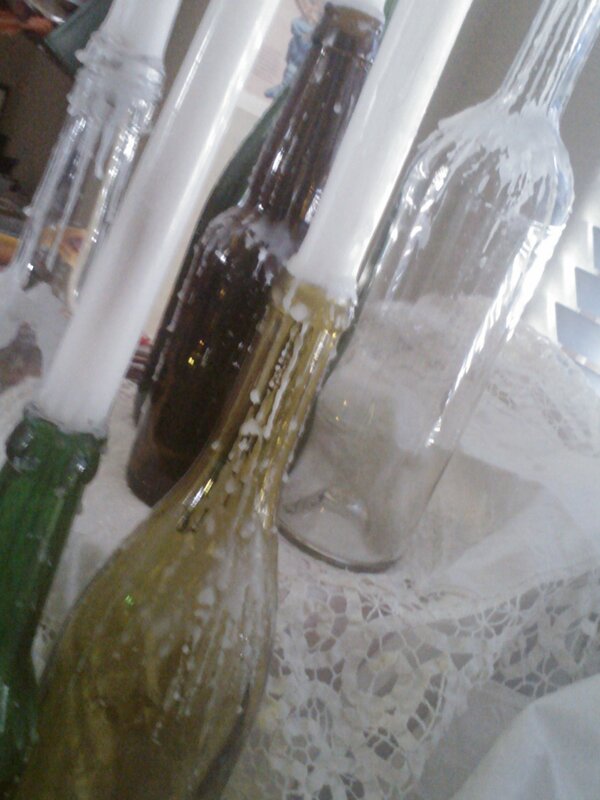 Once the bottles are prepped, let them dry for an hour or so. 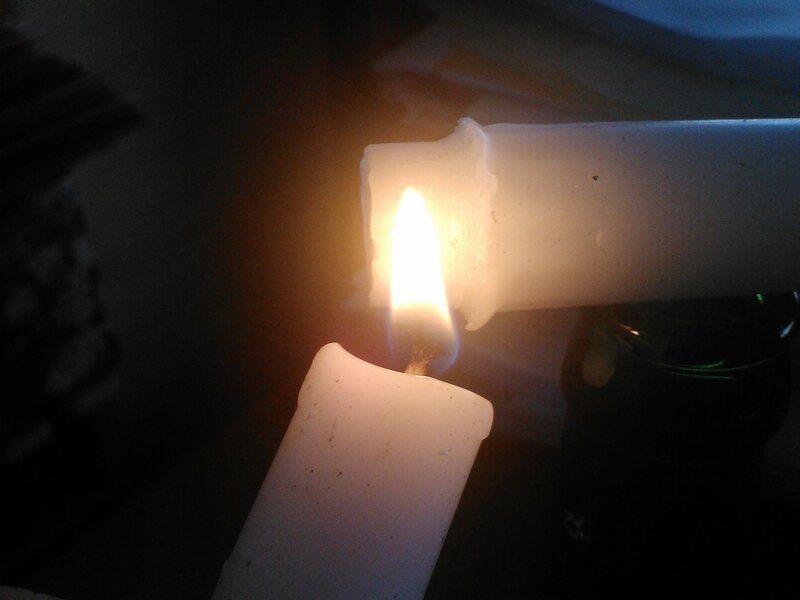 Next, you need to melt the bottom of each candle a bit before you put them in the bottle. 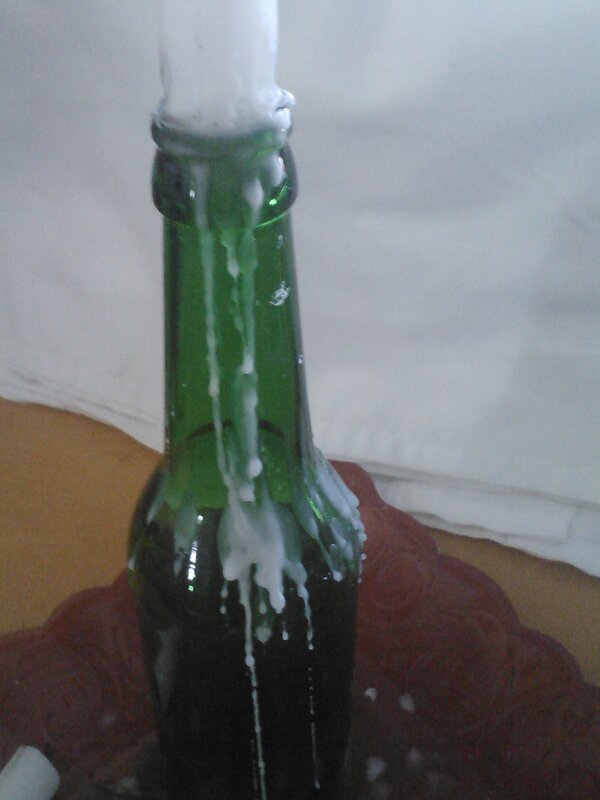 This will cause the candle to adhere to the bottle a bit as it dries. 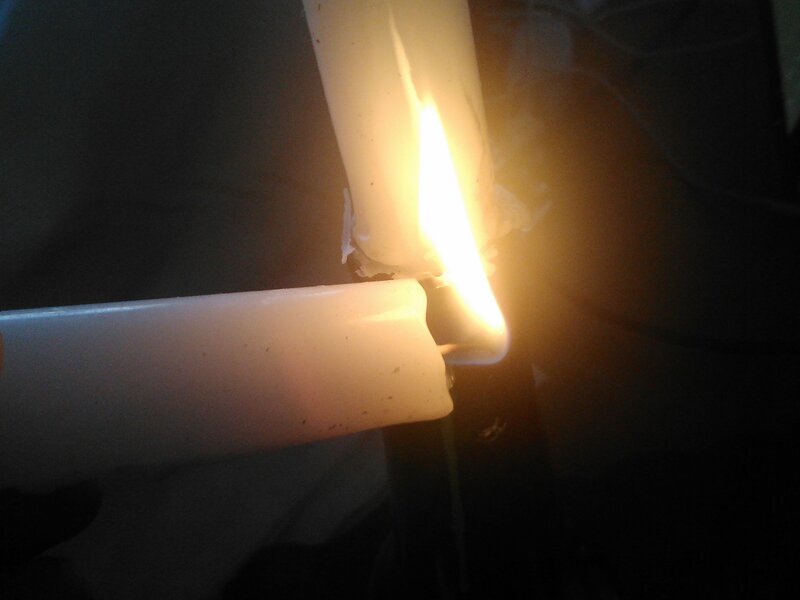 I would recommend using another candle to melt the end, so you don’t use up all of your lighter fluid. And now you can enjoy a piece of pie! I added some pinecones and used lace as my napkin rings, but the possibilities are really endless. You could also put things inside the bottles, some suggestions would be lace, ribbon, colored water, pebbles, sand, glitter, marbles, lights, buttons, nuts…whatever! You can also re-use this centerpiece for your Christmas meal. 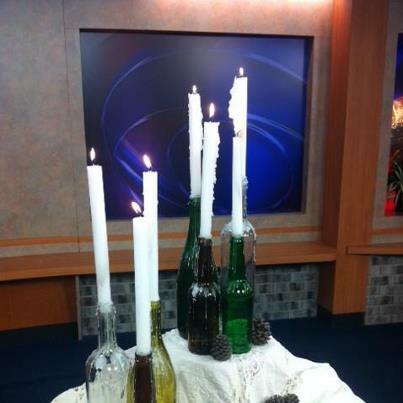 Again, you can fill the bottles with Christmas-ey things like tinsel, lights, cranberries, or you could leave them empty and use red taper candles….like I said, the possibilities are endless, just go for it! Previous Post Easy Thanksgiving on KKTV This Morning!